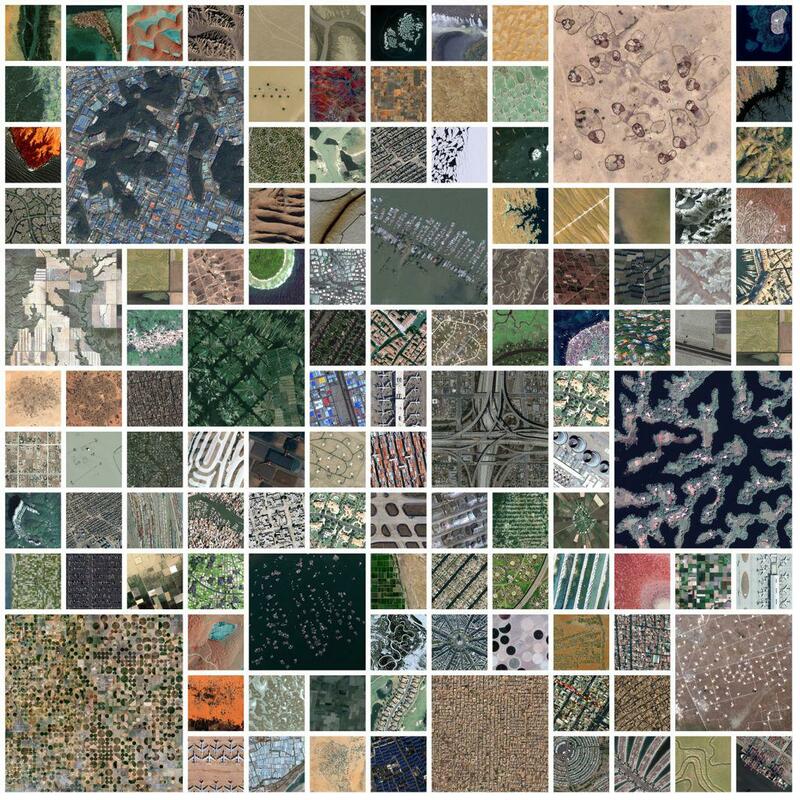 Google Earth images of urban change and environmental destruction: Mind the Earth at the Danish Architecture Centre (PHOTOS). 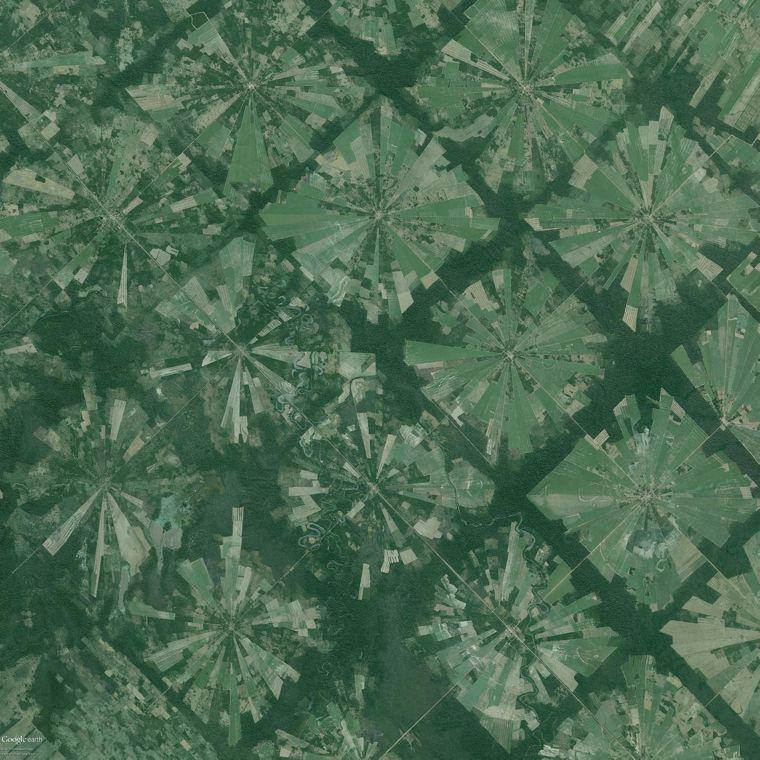 Google Earth images of rainforest deforestation, rapidly expanding urban areas, and sea-level changes are deceptively abstract and often beautiful. 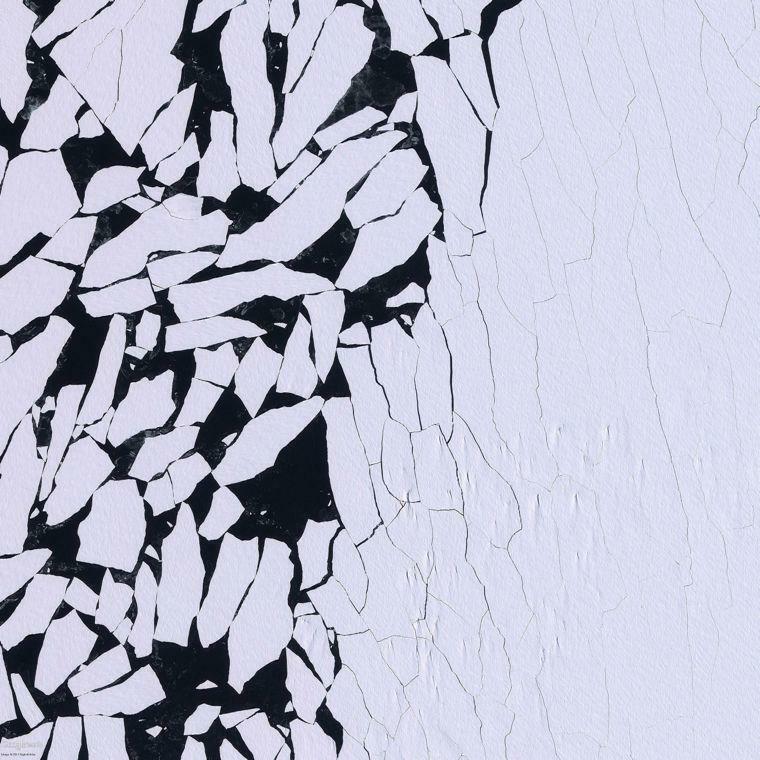 “Mind the Earth,” an upcoming exhibition at the Danish Architecture Centre, is a carefully curated exhibition of stunning yet terrifying Google Earth images that offer stark photographic evidence of urban change and environmental destruction over time on the ever-changing face of the planet. 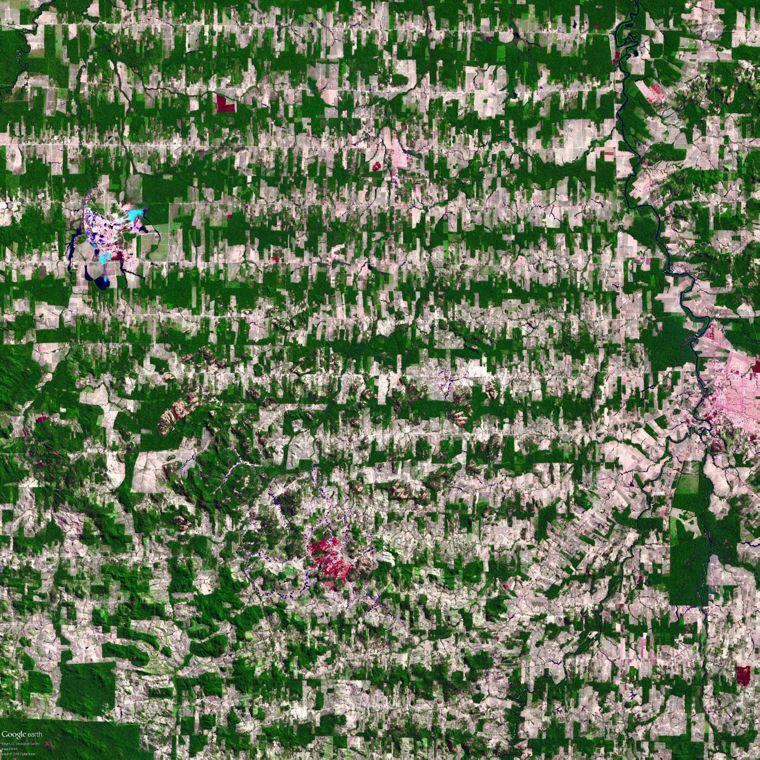 The bird’s-eye view from above can sometimes obscure the hell on the ground, as in these photos of slums, intersecting Los Angeles freeway loops, ice floe in Antarctica, or the deforestation of a Bolivian rainforest that are deceptively abstract and often beautiful from a distance. 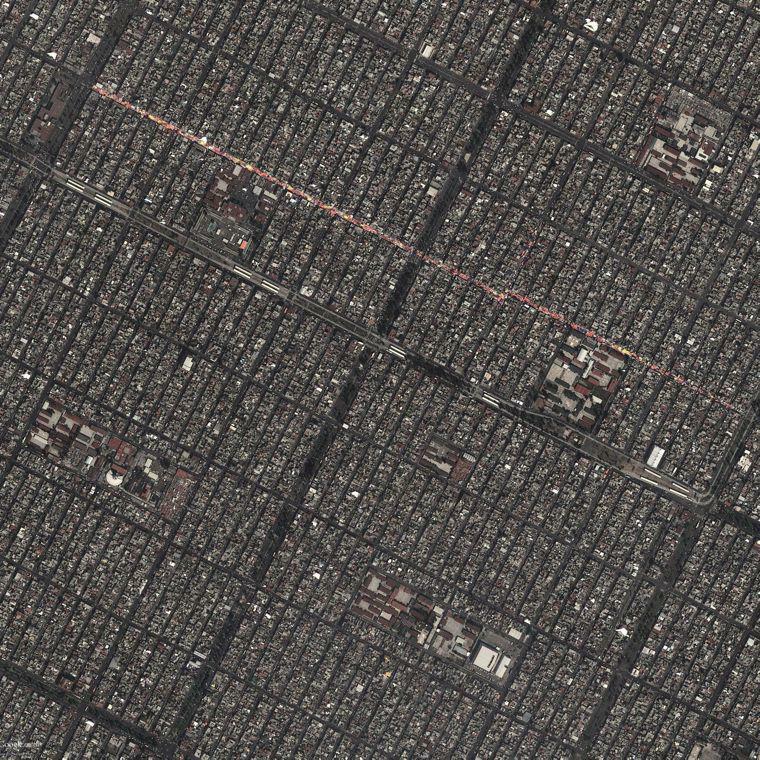 Neza-Chalco-Itza Barrio in Mexico City, the world’s largest slum. 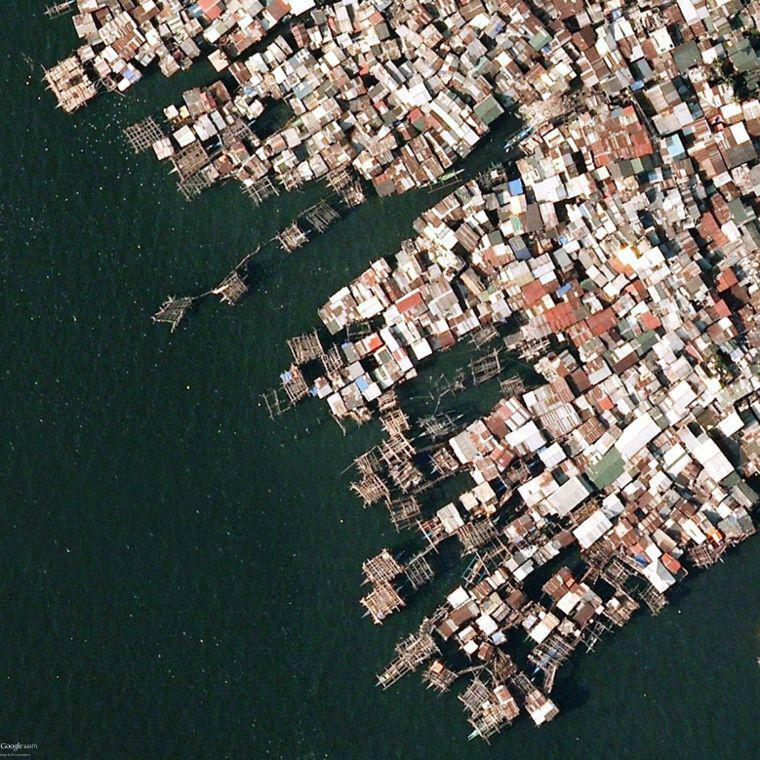 Fishing slum in Manila, Philippines. 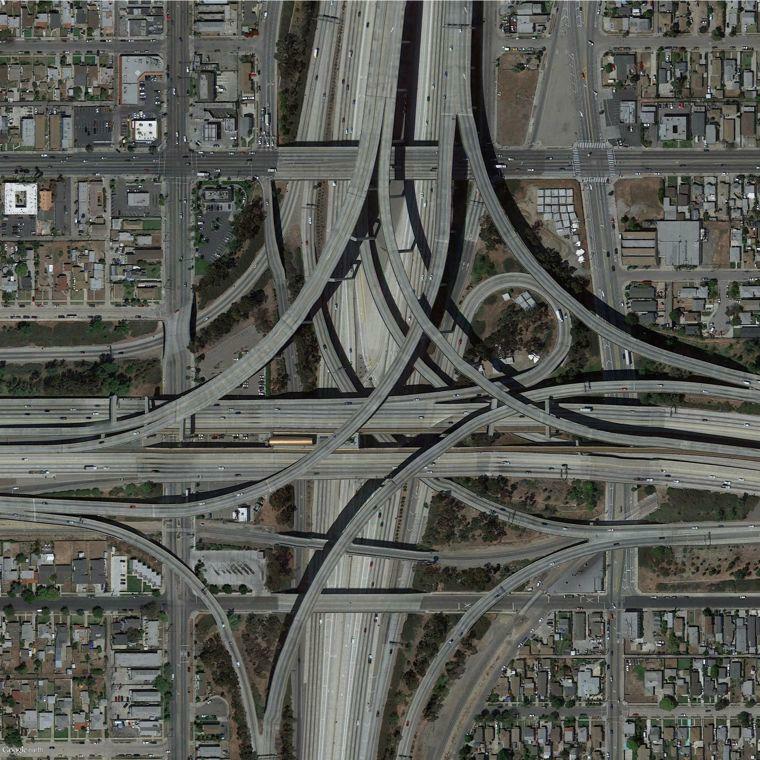 Intersecting freeways in traffic-choked Los Angeles. But when images of a single spot taken years apart are carefully culled and juxtaposed, they reveal the shocking pace and ravages of change that aren’t evident from the ground, asking us to confront urgent questions about the way we live and the future of food, energy, transport, and water. 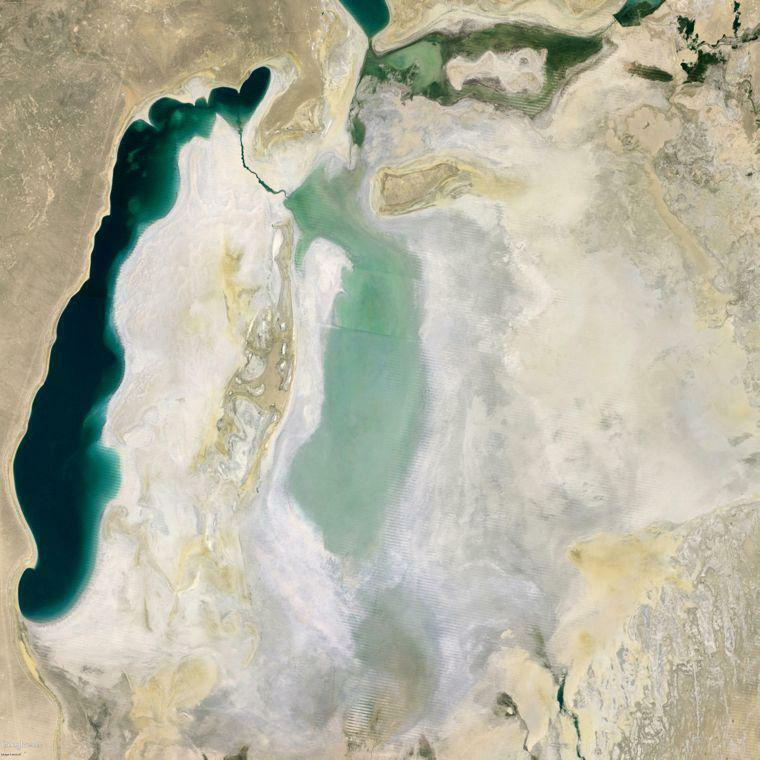 Aral Sea, Uzbekistan, 1999 (top) and 2013 (bottom). 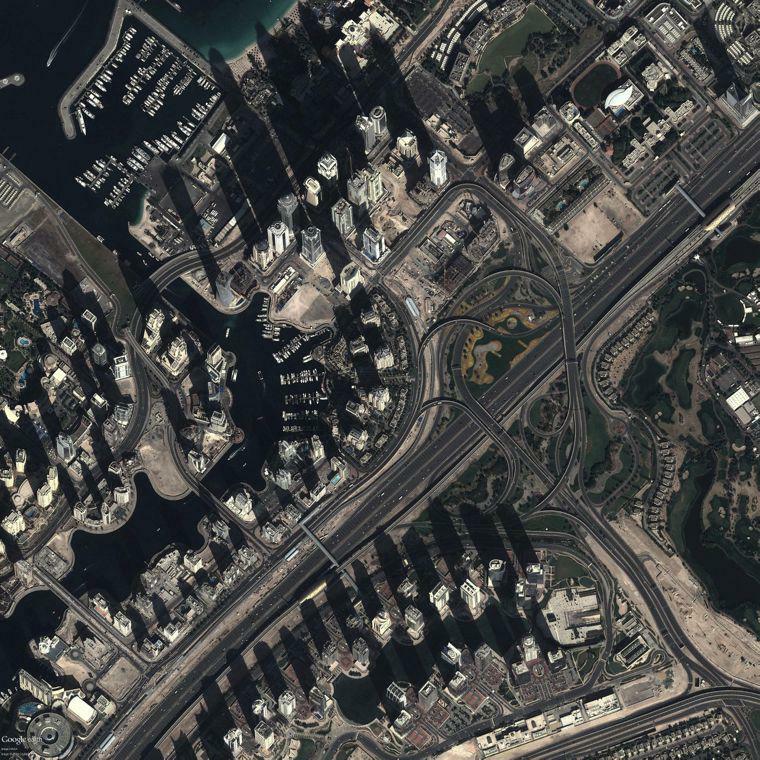 Dubai, 2003 (top) and 2014 (bottom). Amazon, 1975 (top) and 2008 (bottom). “Mind the Earth” runs from Nov. 20 to Jan. 11.